From Emily, Director at Light Up Learning…. LUL is all about supporting students to learn about topics that they choose. We provide them with a safe, non-judgemental space where they can explore interests and ideas that it’s sometimes not possible to give time to, in the classroom. By doing this, we help young people become excited about learning again and this then has a positive effect on their broader academic work and engagement with formal education. Photography – one of our mentees went on a day trip to the Botanic Gardens this term and plans to return every season, learning about photography and documenting the seasons and changing natural biology. LGBT Rights - working on why it’s important that schools should support this work and participate in Purple Friday. At Light Up Learning we believe that no topic is off the table. Having a supported space where young people are accepted for who they are - which includes their interests, no matter how ‘non-academic’ - is crucial for their overall learning and development: leading to increased confidence and a stronger sense of identity. If we can, we also offer relevant field trips, often to meet with people who are connected to the topic: for example our mentee Aspen learnt about filmmaking and sound recording from University of Edinburgh professionals, whilst Thomas met with a member of the Scottish Rugby team, to ask questions about their career path. Whilst we use the term ‘mentoring’, what LUL offers is unique, focusing as it does on sparking that love of learning - and supporting that over the course of several years: it’s also a two-way street, with our mentors learning just as much as our mentees do. Images taken by one of our mentees during a recent trip to the Royal Botanic Gardens in Edinburgh. It feels important to share our model at the moment, with the debates that have been happening in the last few weeks (and no I'm not talking about Brexit). I'm talking about the protests that took place outside a Birmingham School, about their LGBT inclusive education and the subsequent comments by ministers on what constitutes age-appropriate LGBT education. It feels like the space for inclusive education is starting to be challenged: we believe our model is important because we do take an inclusive approach - and it starts from meeting the young people where they are. As someone who grew up under Section 28, I know personally the damage that can be done when a wide variety of loving relationships are not shown or talked about in schools: it took me a long time to accept and be proud of my identity as a queer person. This is why I’m so passionate about supporting young people to learn about the issues that are important to them, that help them to define their identity and values. We need to be supporting young people to explore and understand what it is that makes them unique, and this includes educating them about LGBT rights. 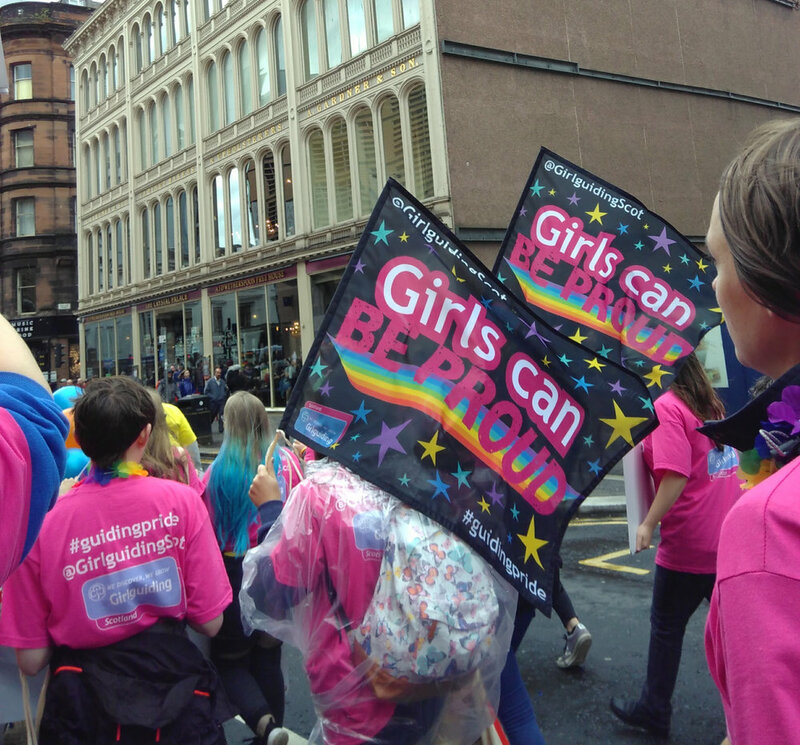 Scotland is leading the way, with the recent announcement that LGBT-inclusive education would be implemented across all state schools; however the events last month remind us that giving students space to learn about what they want, and where they won't be judged for their interests, is vitally important. This is what we do at LUL: it’s about working with young people where they are, and exploring what they are passionate about; it’s about giving young people positive role models and being vulnerable with our own stories and it’s about inspiring young people to be excited about learning - whether that's creating internet meme horror or researching the history of LGBT rights. Why is it important to pick your own topic, in your Light Up Learning sessions? 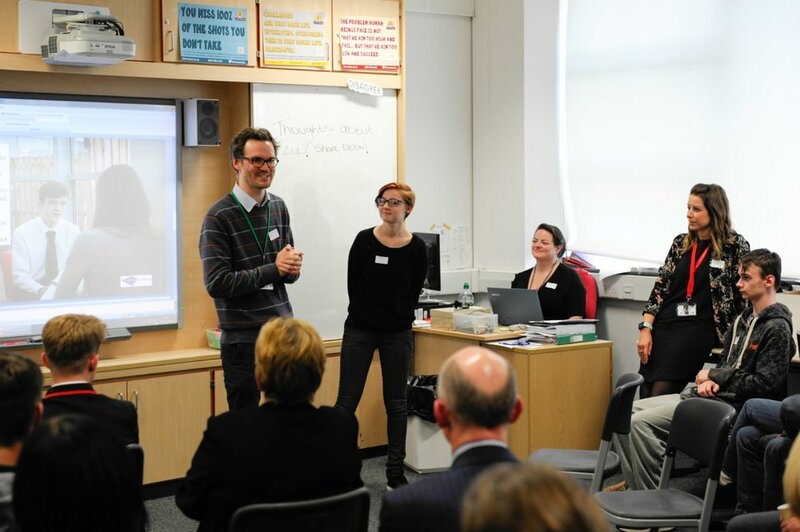 Why is it important to cover LGBT topics in schools? If you have a question for Emily, or want to know more about how Light Up Learning works, you can Tweet at us, or join our mailing list for news and updates. Who is our new Director? "I was diagnosed with dyslexia when I was 9 or 10, and there were points where I thought: 'I don't want to do any more school, I'm done!'. Having the space outside the school structure, with a dyslexia support teacher, to say 'I can't really do this' or 'I'm struggling', was really important." 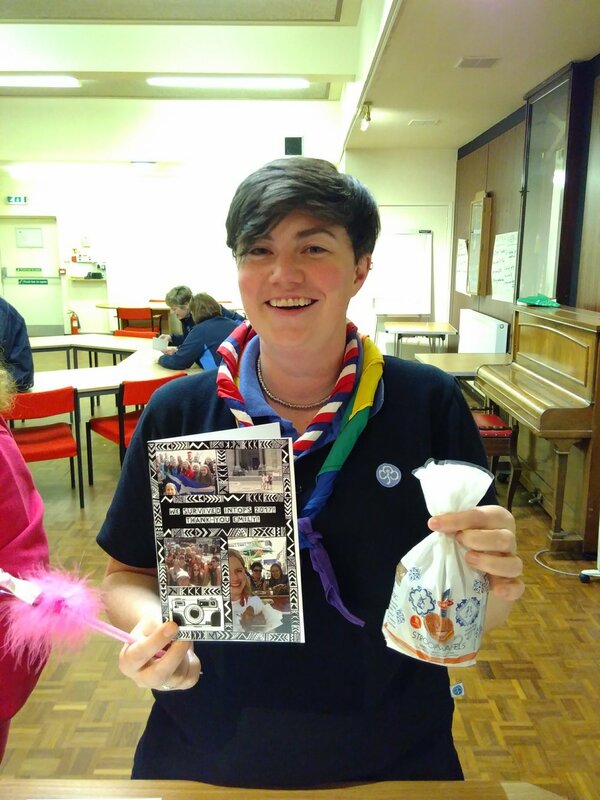 "I've been involved in Girlguiding all my life and currently run a unit in Govanhill, Glasgow. In 2017 I took a group of 15-18 year olds on a trip across Europe, and because my work with young people is based in youth participation, I gave them a map of Europe and asked them where they wanted to go. I maybe learnt to put some parameters on decision making from that experience. It was great, though - we went to an international camp as well as Pride in Amsterdam, a walking tour along the Berlin wall, and the spas in Budapest ." "What I really learnt from my first attempt at uni was what my style of learning is: I don't learn from a lecture, I need engagement and discussion, to be able to ask questions. If I'm in a lecture hall full of people, with someone writing formulas up on the board, I'm not going to understand it." "After I graduated, I was really excited to be one of the few graduates taken on by the Department for International Development (DFID) ... I was less excited to learn I was going to be working in the Audit department. But it was such a useful grounding, in finance and project management - I learnt so many skills and got to visit 6 different country offices in a year...."
"I managed education progammes for DFID in Pakistan, where the UK Government is supporting education reform in several provinces. In some classrooms I visited there is still rote learning, with everyone copying the same piece off the board. I also visited other schools, like BRAC schools, that were such a contrast: there was colour and pictures everywhere, there's dancing. It was an amazing opportunity to think about education, how learning happens and how we measure it." "I'm really excited by what LUL is trying to do: how do we make sure the most young people, have the best quality education? The stats say it doesn't really matter how intelligent you are, to do well in your Highers when you're at a school in the one of the most deprived parts of the UK, is much harder than when you're in a private school. We need to be breaking down the barriers of elite education, and create an education system that works for everyone. LUL is a good combination of my experiences of different education systems, my passion to create equity, the recent work I've done in social enterprise and my leadership and drive to make things happen." 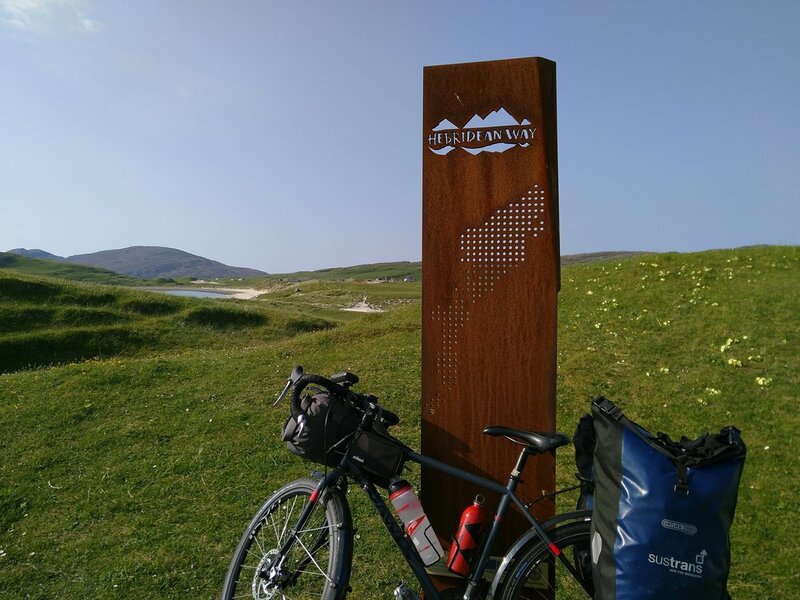 "Last summer I did a big cycling trip, taking 6 weeks to travel 750 miles - from Glasgow around the west coast, all through the Western Isles, back down through Skye and Mull, to Glasgow. It was a chance to fully experience the landscape and the elements, but also to understand and participate in the various community groups I met along the way. " "One of the biggest mentors I had was my guide leader when I was 10. She had this innate belief that I could do whatever I wanted to do. A good mentor is someone that champions you: they are there to think about you and only you, and I think that's really important." If you have a question for Emily, or want to know more about how Light Up Learning works, you can Tweet at us or drop Erin an email. STARTING AT A NEW SCHOOL can often be daunting… especially if you’ve already graduated. Earlier this year we expanded the number of mentees we were able to work with, and welcomed two new mentors: Lisa and Mark* As they near the end of their first term, we check in with them…. Mark (left) and Lisa (right) joined Light Up Learning in August this year. Fortunately, they still look this happy. LUL: Going back into school as an adult can be a strange experience. What was it like returning to those halls? Mark: It was interesting – I think there’s a part of me that still doesn’t want to admit, almost Peter Pan like, that I’ve grown up. I thought I would relate more to the students than to the teachers, and then quickly realised, oh wait, the *staff* are my peers. Lisa: Before I joined LUL, I was already working in one school, so I had become used to the environment. But every school is different: now I’m in 3, and they each have a distinct personality, and a unique feel to them: different challenges, different pupils. LUL: And what about the mentoring itself: did you have any expectations going in? L: I thought there might be more of focus on producing work, but it’s more about engaging the mentees, and building up a relationship with them. I picture it like a river: you have to adapt to the flow, and what’s happening with the young person. So maybe you’re chatting about things, you’re on course, and then you’ll come across something else, and you meander. LUL: Describing what LUL does can often be tricky. How do you explain it to your mentees? L: I described it as learning about whatever you’re interested in. Not having to follow what the school says, or what you’re supposed to do, it’s what you want to do. M: Yes, I was the same. I also shared a bit about me, and then I often talk them through making a mind map of their interests, with various prompts: what they do after school, what movies they’re into…. we use that as a base to jump off from. L: A lot of it is just listening to what the young person has to say: sometimes it can just be one word that I’ll pick up on and say: tell me more about that. If you have a rigid plan, you might get stressed about sticking to it: you can’t really be like that with young people, as they probably have other ideas. LUL: So you almost work it out together? L: Yes. This is their time, I’m not there to tell them what they have to do, I’m there to listen to what they want to do and work around that. It’s important to be authentic, and that helps the relationship to develop: once you have that, it’s easier to engage with them. M: When I first got this job I spoke to my old English teacher, who I’m still friends with and who was a big influence on me. When I asked for her advice, she said: “Kids smell b******* really quickly. If you fake enthusiasm, they’ll know you’re not being genuine, and they won’t respond to it. Just be yourself.” I was slightly concerned that if I had a student, who, for example, said: “I really love make-up” then I might be stumped. I’ve realised I am able to say: “I know absolutely nothing about make-up, and I’ve never really looked into it, but great, let’s do it, I’m sure we’ll find interesting stuff!”. And we do. Where I can, I also try to tie the stuff we’re doing in the sessions, to what’s happening in the world. When Stan Lee passed away recently, it actually prompted a very interesting session with one of my mentees: we watched a video that had just been posted, about how he purposefully didn’t write Spiderman to be like the usual, infallible hero and that made him so much more complex. We then talked about that, and fed it into the work we were doing. I try and keep an eye out for that kind of stuff: it helps them realise their interests aren’t just this random obscure thing, it’s stuff that’s out in the world, ongoing. Lisa is working with a mentee that is a huge comics fan: he’s currently creating his own graphic novel. LUL: What do you feel you’ve learnt from the experience, thus far (apart from young people’s extraordinary olfactory abilities)? L: I’ve learnt more about seeing things from a young person’s perspective. I have a mentee who initially didn’t want to engage at all with the programme and didn’t even want to meet me to speak. Now he is very responsive, and I can tell that he really enjoys it. I’ve spent some time reflecting on that and think this will inform my approach in the future: it’s not that young people don’t want to engage in things, or don’t want to do their best – it’s there are barriers to them doing so, that we can’t necessarily see. M: Yeah. There’s been a few moments - and from an external point of view, they probably don’t look like big achievements - but there are little victories that are really good to see. One of my students was really nervous and struggled to open up: I’d tried asking open questions, and they would not be able to respond; I tried asking closed questions and I’d get a one or two word response and then they’d stop. But then the first time that they actually spoke to me, without me having to ask: they just had a thing they really wanted to tell me…. I didn’t make a big deal of it, but in my head there were party poppers going off. So there’s lots of little moments like that, where for that student, and on that day, it’s a really cool moment. *You can read all about them on our People page. It’s worth it. If you have a question for our mentors, or want to know more about how Light Up Learning works, you can Tweet at us or drop Erin an email. ‘Cachinnare’ = Laugh Out Loud in Latin. Although serious posh Romans didn’t laugh so unrestrainedly as us. Being the up-to-date, hip* kind of man that I am, I have naturally chosen to study the languages of the ancient Greeks and Romans during my weekly LUL Time. But didn’t someone of a poetic bent once say: “Latin is a language,/ As dead as dead can be./ First it killed the Romans,/ And now it’s killing me”? There are a number of intelligent-sounding, but largely false reasons I could give for choosing to learn these languages, once the bane of many a snotty-nosed ten-year-old . I could tell you, for instance, that it helps me understand language itself better (do you know what a gerund** is? No? How about a diphthong*** ?) or that it gives me an insight into the history of English (did you know that more than half the words in the Preamble to the U.S. Constitution are Latin derivatives?). Learning something for its own sake, for the sheer joy of it, is deeply counter-cultural. But, paradoxically, it can end up being incredibly useful too. The more open you are to the value of a subject in its own right, without demanding that it ‘takes you up in the world’, the more you develop the capacity to explore things carefully and without prejudice, to respect and admire the world around you, and to get alongside those who would rather promote what is good than simply promote themselves: not a bad set of tools to help you get through, and even flourish in, the complexities of life. It’s precisely this type of learning – which turns contemporary notions of ‘achievement’ on their head – that LUL seeks to promote. For most of our students it won’t be Latin and Greek that will capture their interest (shock horror), but every one of them will have the chance to explore topics and questions that truly excite them, without worrying about an exam or a grade at the end of it. In such a context, the love of learning grows and a new form of ‘achievement’ is born. ** Gerunds are words that are formed with verbs but act as nouns. For example, in the sentence ‘Learning Latin can actually be fun’, the word ‘learning’ is being used as a noun but it’s formed from the verb ‘to learn’. The ‘ing’ is the big give away for a gerund in English. Be aware that there’s another type of word ending in ‘ing’ in English and this is called a ‘present participle’, but I’ll let you look that up for your next LUL Time! *** This has nothing to do with scanty pieces of clothing or flip flops. A diphthong is the sound you make when you pronounce a combination of two vowels in a single syllable, with the sound beginning as one vowel and becoming another, such as in the words ‘loud’ and ‘toil’. If you’re new to LUL, been curious to know more about what kind of subjects our mentees are passionate about (spoiler: they are beautifully random), or want to hear more about the impact our work has, look no further. Mentee Aspen made this short video about us, as her final LUL project: conceived, directed, filmed and edited single-handedly. We’re pretty darn chuffed. A huge thanks and congratulations to Aspen, who has taken those video skills to her new university in China. Watch this space. We’ll be showcasing more of our mentees’ voices and work here in the near future, and you can also read more about our day-to-day stories on Twitter. Any questions or thoughts, drop Erin an email. We celebrate our first ever LUL graduates! Aspen was speaking to a packed room, gathered to celebrate our first ever graduation. One of the original group of young people that we worked with, Aspen was just 13 when her and her mentor Richard, first met. Although she was clearly a bright person, hefty struggles with self-belief and self-expression had left Aspen drifting further and further from school life and learning. Three and a half years and many LUL sessions later, she confidently stood up to tell the room (which included some pretty Important Official People) about her imminent departure to study in China for a year, presenting a vlog all about her journey with LUL (look out for that in a couple of weeks). Former mentee Jamie talks to Midlothian Councillor Craig Biddick about his LUL experience. Dr Mary Smith, Midlothian Council's Director of Education and Communities, is suitably enthused! Nick, the parent of one of our mentees, makes us blush with his kind words. "Did you get a sausage roll?" With the type of work that we do, it can sometimes be hard to measure impact. People – and we include ourselves in this - often crave stats, a graph showing some kind of percentage climbing through the roof: we’ve found that whilst we can provide those, it’s the story behind the figures that provides any motivation needed on a dreich Monday morning. Hence taking over a classroom in Lasswade and filling it with the extended LUL community and a ridiculous amount of sausage rolls. Nothing communicates better the effect of the work we do – along with our partners - than hearing the mentees themselves stand up and enthusiastically tell you about their future plans; to see a parent so affected by witnessing the change in their child that they make a point of telling every person in the room about it; or perhaps best of all, having to (politely) tell the aforementioned Important Official People that they need to stop chatting to the mentees and the teachers and shift, so you can have your tea. The stories keep coming: Cameron (another of our original cohort) was inspired by his LUL sessions to see school through to the end, and is now off to study Travel and Tourism at Edinburgh College; Jamie achieved AAB at National 5 Level and was headhunted for a competitive apprenticeship; and Thomas spoke about how his relationship with his mentor helped him to turn an interest in rugby into a committed journey to study Sports Psychology at university – and when he’s not talking Scotland team stats, Thomas is talking about how he can become a LUL mentor himself. It’s important to note that none of this – including the sausage rolls - would be possible without a whole host of supporters. Our celebration was also an opportunity to thank our committed and engaged funders, the teachers who work incredibly hard for the young people in their care, the outside professionals who give generously of their time and expertise, and the parents who support the programme at home. You’ll be hearing from our mentees again in the future, and needless to say, we’re proud of all the young people we’ve had the privilege to work with – thanks most of all to them. If you fancy coming to our next event (we’ll try and up the ante catering wise, promise), you can join our mailing list, or follow us on Twitter for the latest news. Any questions, drop Erin an email. WE'RE HIRING! The last 3 years have seen LUL grow from a passionate conversation between two friends about equity in education... to a team whose work is changing the lives of young people in Edinburgh and Midlothian. If you have bags of ambition, a community spirit, and fancy leading the next phase of our growth, we want to hear from you…. are you our new Director? *The role will involve appreciating puns, just to warn you. One of our graduating mentees speaks about his LUL experience to teachers, peers, funders and a VIP or two. Field trips involving an architectural tour of Edinburgh (designed and led by one of our mentees), a chat with former Scotland Rugby team member Ross Rennie and a one-on-one tutorial with Edinburgh College of Art’s Film & TV department. Renewing our programme at Lasswade High School, bringing the number of Light Up Learners (or mentees) from 12 to 19. Our director Richard taking on Foxlake’s water-based assault course (pictures can’t do it justice). The graduation of our first group of Light Up Learners, after 3 and a half years with their mentors: a proud and inspiring moment for all of us (see picture above - more to come on this). An enormous amount of learning and LULs (geddit?) along the way. And that’s just the stuff that made it to the page*. One change to our team is the addition of Erin, our new Culture and Community Manager: she’ll be regularly collecting LUL stories to share here, so let us know if you have one to tell (or there’s something you want to hear about). You can also sign up to our quarterly newsletter (quality not quantity, we reckon), or join the conversation over on Twitter: here’s to the next 12 months. We’re looking for an organised, driven self-starter to join our team as our Operations Manager. Reporting to the Programme Director, the successful candidate will be charged with building a strong base of good operations and business practices for our growing programme. They will be responsible for finances, operations, administration, and relationship management. This is a part-time contract position (15 hours) with potential for further responsibilities and hours as the charity continues to grow. Funding for the post has been secured for two years. If interested, please e-mail your CV and covering letter to our Programme Coordinator, Jillian Read, at: jillian@lightuplearning.org. The closing date for this application is 25 September 2017. Interviews will take place during the first week of October. FOR FUN (Photo credit: http://ow.ly/wUBY30c4zfr). or explaining to me (a very confused and ill-informed Canadian) that one does not simply blow into a bagpipe to make that special sound that we all know and love, he is the co-founder of Light Up Learning, one of the charity's trustees, and a mentor to five students at Lasswade High School. 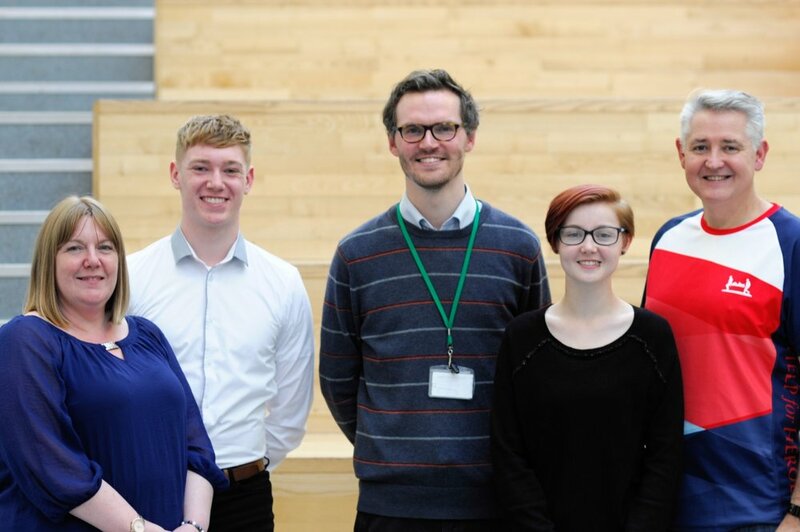 These five students, as well as the other young people Richard has worked with throughout Light Up Learning's partnership with Lasswade, have taught him about everything from American football to ligers. The Liger: apparently a thing that actually exists in the world (Photo credit: http://ow.ly/NRgK30c4CSQ). “During my Light Up Learning sessions with Richard, I have spent a lot of time researching Psychology. I have found this very useful and interesting, as I have been thinking of studying Psychology at university. Richard and I used these sessions to watch videos on YouTube called "Crash Course: Psychology," which contained almost everything to know about the topic and conveyed it in an fun and upbeat way, making it easy to get immersed in it. 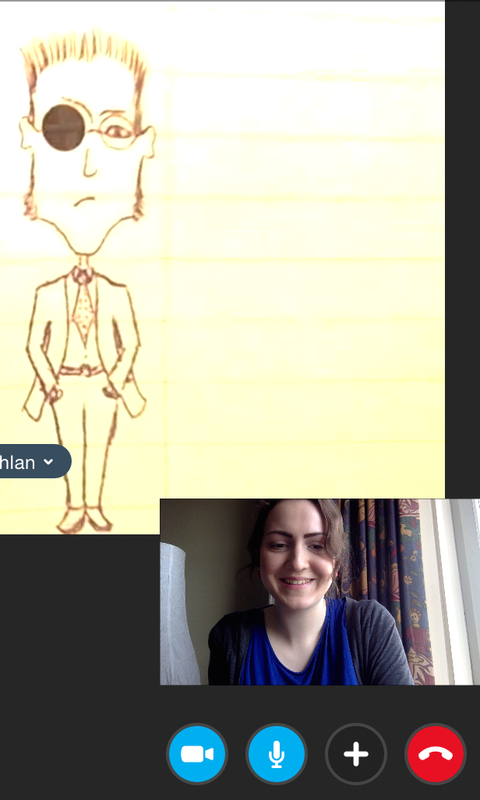 We even got in touch with a psychologist through email. She explained her route to becoming a psychologist and told us about the work that she does. Richard and Aspen learning together (Photo credit: Rachel Hein Photography). “Light Up Learning has been my gateway to find out the best way I can learn. Before LuL, I found it difficult to focus on standard subjects. They had no significant link to what I planned on doing after leaving school. However, my weekly sessions with Richard have allowed me to have an underlying background in the subject I intend to excel in. This is something school has not offered me. Richard has showed me new ways I can learn both by myself and in a classroom environment, which has been massively beneficial. LuL has also taught me more about myself than I think any classroom ever could and has given me the confidence to reach for my aspirations instead of settling for mediocrity. Every time I begin a new piece of work in my LuL sessions, I look to improve from my last piece. "Light Up Learning has been the best thing Lasswade High School has enrolled me in" (Photo credit: Rachel Hein Photography). Thank you to Richard for doing a good enough job at mentoring these wonderful students that I didn’t have to make up nice things to say about him for this profile. And thank you to Thomas and Aspen, whose words have been edited and condensed for the purposes of length and clarity. Unpacking Orwell's "Politics and the English Language"
Every Light Up Learning mentor gets a set amount of "LuL Time" each week, in which they can investigate a topic close to their heart and periodically present what they've been working on to the rest of the team. Orwell’s "Politics and the English Language" is probably my favourite essay. Writing is one of my great loves, and I have been thinking quite a lot about essay structure recently, so it seemed natural to use my LuL Time to look at how Orwell structured this essay. Orwell argues that unclear political writing is both a symptom and a cause of unclear political thinking, but both can be avoided through attention and awareness. This is a deceptively complex idea, so I'll break it down. Orwell uses a good analogy: somebody might start drinking because they're sad, but ultimately become more sad because of drinking. Similarly, you might start using meaningless political jargon because you're scared of saying something that will make you look bad, but then you'll get used to using that jargon, and it will affect your ability to think clearly about politics. One way in which many of us encounter this kind of murky language is actually through office politics. Management speak words and phrases like 'streamlining', 'global sense', and 'ongoing enterprise' can all hide difficult truths by being vague or stale through overuse. I liked the clarity of the essay's structure and its prose. There are three parts. The first introduces Orwell's argument and a possible counter-argument to it. The second gives five examples of unclear political writing, lists four faults common to all of them, and analyses why people write like this, before finally offering four questions you can ask yourself to help you avoid such writing. The third and final part restates his argument and gives six rules for writing clearly. There is a logical progression between sentences and paragraphs: a general point is often followed by an example and a development from that example. This structuring seemed almost scientific to me. However, the essay is perhaps deceptively clear and prescriptive, and, after some discussion with another mentor, I realised that it’s not actually scientific. Orwell gave a hypothesis at the beginning and presented evidence, but he was more arguing for the hypothesis than testing it. What’s more, Orwell is far from the ideally impartial figure of the scientist. Indeed, his partiality and emotional bias reverberate through the piece in forceful statements that sound good but, on closer inspection, actually fall into one of the categories that Orwell criticised: vague terms of approval or disapproval that don't really mean anything. Orwell was, however, honest enough to recognise that he was frequently breaking his own rules in the essay. At the end of the session, I was asked how what I'd learned would affect my own writing. Oftentimes, I try to summarise all of the information in a paragraph in its first sentence. I saw that Orwell wasn't following this rule, putting what seemed like first-sentence-worthy ideas in the middle of paragraphs. Yet, his writing didn't seem to suffer because of it. This has given me the idea of being a bit more free in my own writing, which I'm excited about.